There’s a new member in the Owly family! When we established a @HootSuite_UK profile to converse with the British Isles community, we knew there was a need for a new Owly. Wanting something that reflected the culturally diverse and historically rich region, we sent out a poll seeking feedback for a British Isles Owly. We wanted to emphasize the diverse cultures of the UK – from Scotland to Wales, plus all the outer islands. So, we asked our users around the isles to chime in to help us avoid royal gaffes. 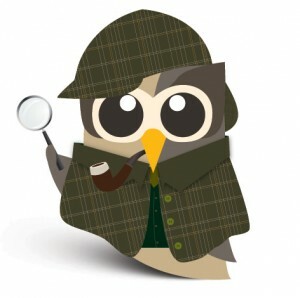 Please welcome to the HootSuite family – the Sherlock Holmes Owly! Our new addition beat out other suggestions such as Sir Winston Churchill Owly and William Shakespeare Owly by a significant margin. Sherlock Holmes is a fictional detective, created by Scottish author, Sir Arthur Conan Doyle, and was first published in 1887. Known for his astute logic, general craftiness, and penchant for pipes, Holmes has had astounding lasting power – enchanting fans the world over for over a hundred years. Featured in dozens of movies (notably played by Basil Rathbone), most recently, Mr. Holmes was re-imagined in Guy Ritchie’s action-mystery flick, Sherlock Holmes, and upcoming sequel Sherlock Holmes: A Game of Shadows. We’re particularly pleased with this Owly as we feel that our beloved mascot already shares a number of Holmesian qualities. He is clever, wise, and known to adopt many disguises – much like our own beloved raptor. For more proof of Owly’s fondness for disguises, outfits, and props – peruse our Owly Gallery. 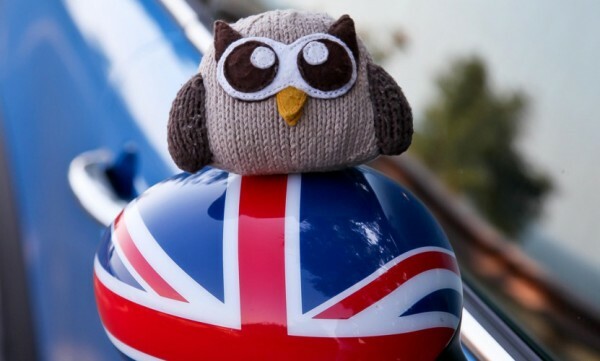 In honor of the new Owly, check out these great HootSuite articles from the British Isles! HootSuite is not just a Twitter client it is a fully featured marketing tool to ensure that your organisation ekes every useful slice of information from your social media campaigns. Hootsuite is a ‘dashboard’ for your social media accounts, what this means is that it is a website you can log into in order to view your social media sites and activities all in the same place. When hootsuite started it really was just another website to make using twitter that bit quicker and easier. 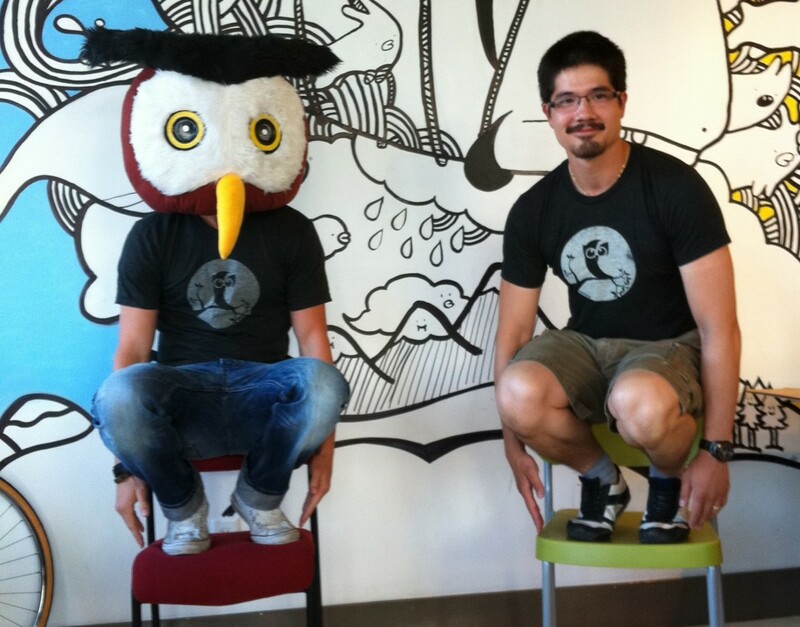 Speaking of winners, Daniel Pugh, who won our Owling Photo Contest, happens to live in Vancouver and paid a visit to HootSuite HQ for an owl-off with Owly. Daniel received a HootSuite t-shirt and other goodies. You can see his winning entry, Owling on Mt. Harvey, below. Want to see the other entries? Check out memelabs.com/owling for a slideshow of all the entries! With the creation of a British Isles specific Twitter profile and the introduction of a new Owly – we look forward to growing and serving the specific needs of one of our largest international communities. Can’t get enough Owly? Visit our Life of Owly Tumblr for the latest on our favorite strigiforme.